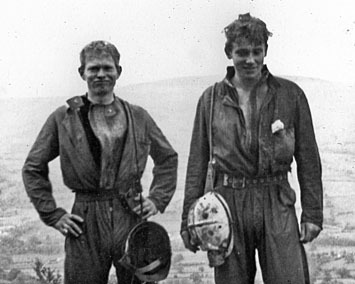 In late 1964, three young but experienced cavers from the University of Bristol Speleological Society formed the Independent Cave Diving Group. The three were ambitious, and determined to progress their successful caving careers into diving, but were unwilling to wait whilst going through the qualification process required to become diving members of the Cave Diving Group. So, after training themselves in swimming pools and quarries, the three targeted the sumps at the end of Swildon's Hole and Stoke Lane Slocker, meeting with considerable success. The ICDG were in existence for just four months before the three members were able to join the Cave Diving Group, but in that time they extended Swildon's Hole from Swildon's 8 to Swildon's 12, and also Stoke Lane Slocker through several sumps. Following Mike Wooding's death in 2006, a file of ICDG papers were passed on to John Gardner, who donated them to the British Caving Library. They provide an interesting insight into an important phase of Mendip cave exploration, and into caving politics of the day. An interview with Mike Jeanmaire on the BCL Audio Archive provides further insight into the story of the ICDG. The collection has been scanned and is available online at the BCRA Online Archive.